Hundreds of walkers helped light up the Lake District hills to raise cash for charity. 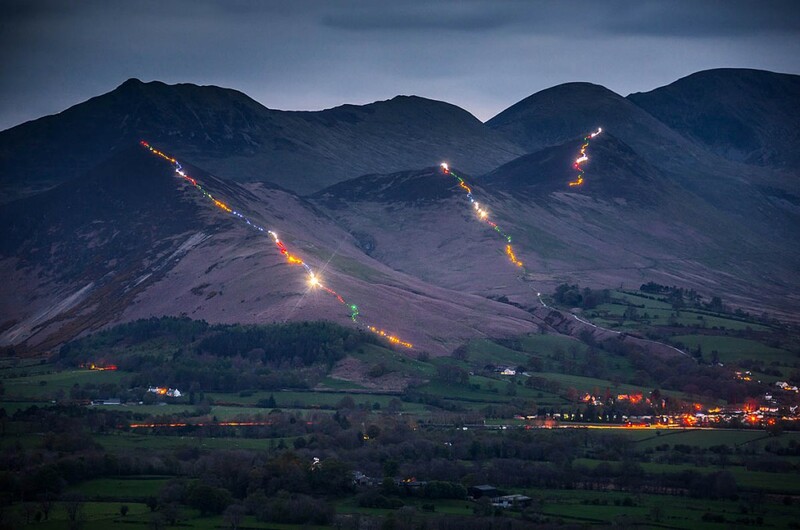 Participants in the Lakeland Festival of Light took to three fells as professional photographers captured the scene, illuminated by the walkers’ headtorches. Organiser Matt Le Voi said the event has raised at least £10,000 for Phase Worldwide, the charity whose projects include work to help the Nepalese people recover from the earthquakes that struck two years ago. This year’s festival followed the 2016 event on Cat Bells. Mr Le Voi of Lakeland Mountain Guides set walkers the task of lighting up Barrow, Stile End and Outerside above the village of Braithwaite. More than 650 walkers set out from Keswick and made their way to Braithwaite on Saturday before splitting into groups across the fells and lining up for darkness. This year was the event team wanted to create the effect of Nepalese prayer flags lining the fells, and so the team handed out small pieces of coloured acetate. As darkness fell, event photographers Carmen Norman, Tom McNally and Nick Landells captured the procession. Mr Le Voi said: “It was a cool and breezy night, and we were being extra demanding this year by requiring the people on the mountains to stay as still as they could. “By the time the pictures were being taken people had already been up on the mountains for a fair while, so they did well to stick it out and bear with us. Their perseverance has to be commended. A raffle, cake sale and entry fees are expected to push the total raised to more than £10,000. He plans another festival in 2018. Photographs of the Lakeland Festival of Light are available to buy online, with 50 per cent of the fee going to charity.